Another illustration from one of several pages for Book of Pages that never made it into the final story (drawn sometime around 1991). This one is “Label the Designer”, in which Jiriki encounters a designer. In the Book of Pages world, the humans are no longer designing anything worthwhile (presumably because machines are entrusted with all the important design work), so design is cosmetic and vapid. 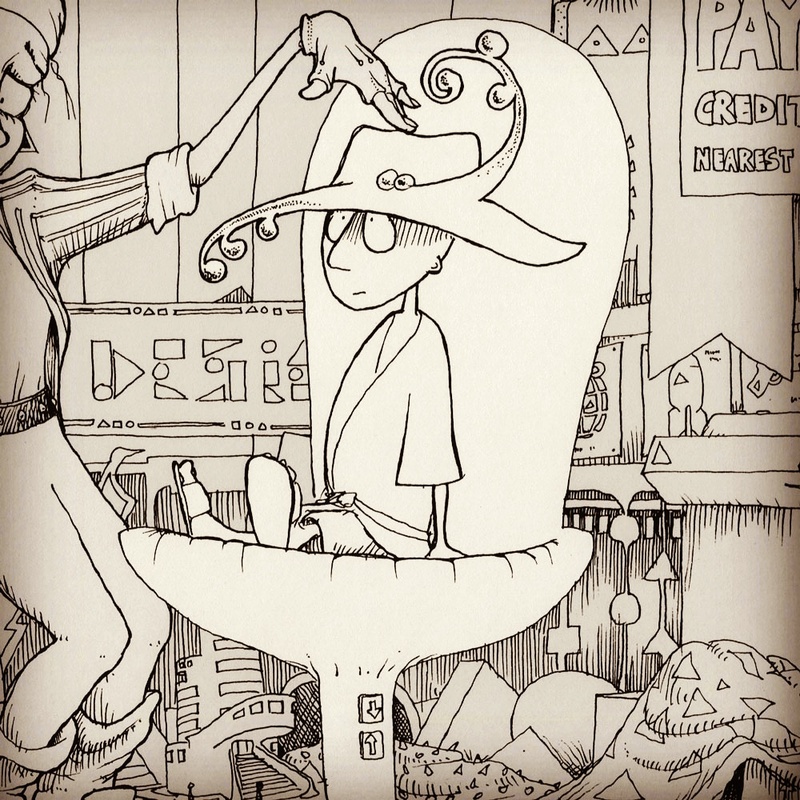 The designer improves Jiriki by putting a stylish hat on him.